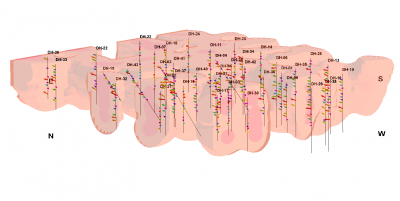 View lithology materials with colors and/or patterns in 2D logs and log sections, and as colored intervals in 3D. 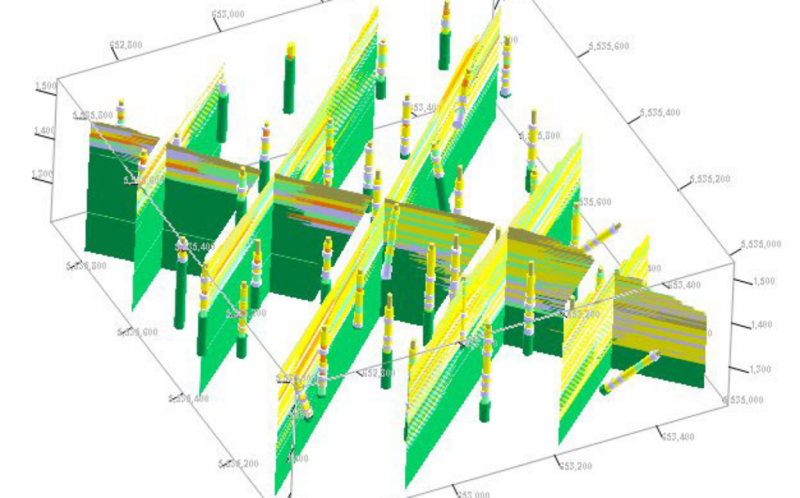 RockWorks offers a specialized method for modeling lithologic data as a continuous solid or “block” model. 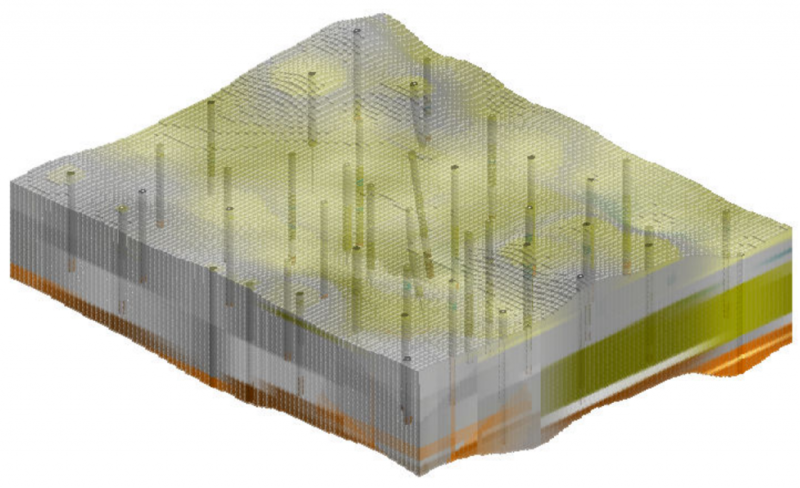 Diagram types include 3D voxels and fences, 2D profiles/cross-sections/projected sections, 2D geology maps, and more. Read more. RockWorks offers numerous gridding algorithms for interpolation of continuous stratigraphic surfaces which, when stacked, create a 3D stratigraphic model. Import external grids for incorporation into your model. Diagram types include 3D stratigraphy models, surfaces, and fences; 2D profiles, cross-sections, and projected sections; 2D geology maps; and many more. 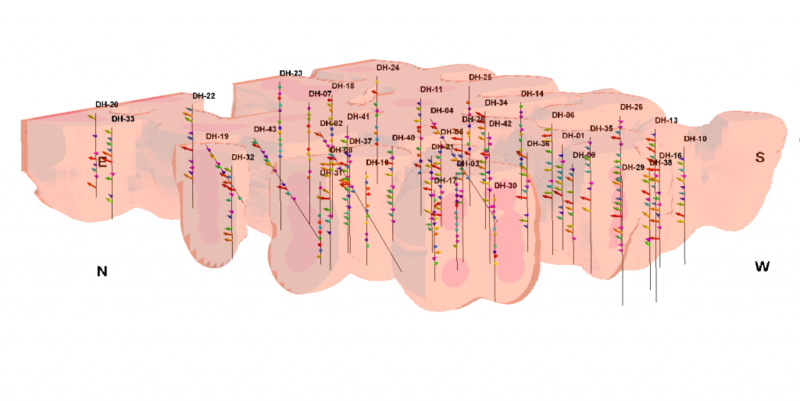 Downhole log data can represent geophysical measurements, geochemical values, geotechnical measurements, and more. 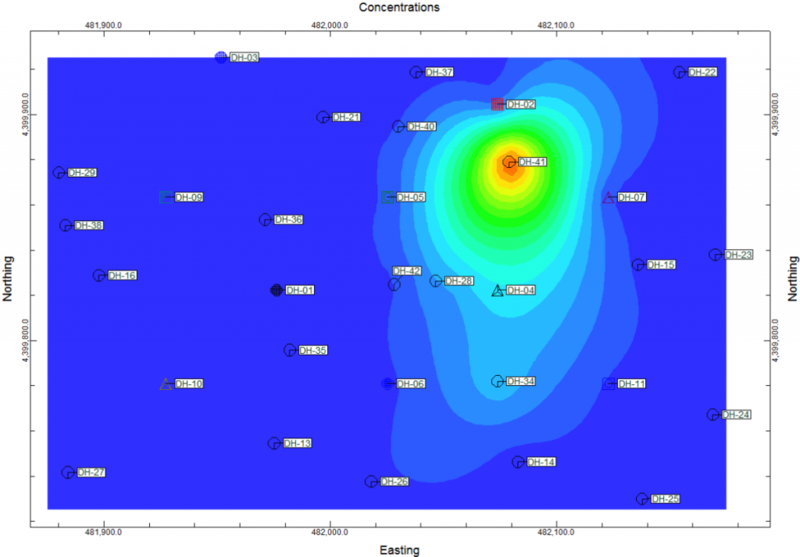 These data can be entered either at depth points or over depth intervals with optional dates. Display and analyze observed data in logs and log sections. Use various solid modeling algorithms to create a continuous 3D model. Display model contents as 3D voxels, isosurfaces or fence diagrams. For 2D display, create cross sections, single-slice profiles, projected cross sections, maps of single slices or contours along a grid surface. 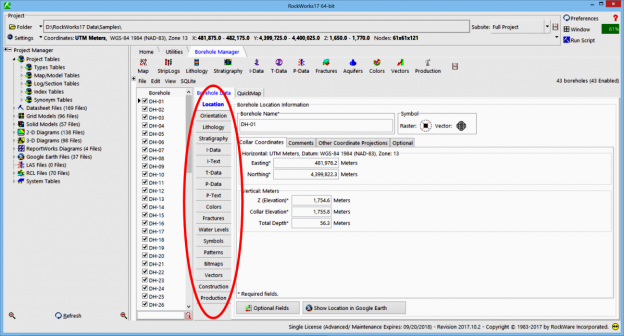 RockWorks uses a specialized modeling method to interpolate a continuous color model from color intervals listed in the borehole database. Import tools allow posting of color intervals based on descriptions (such as Munsell codes) or based on raster images (core photos, etc.). Display options include 3D voxels, isosurfaces, and fences; 2D cross sections, profiles, projected sections, and maps. Define one or more aquifers in your project and interpolate tops and bases of the water-bearing zones using any of the available gridding methods. Display water levels in logs with symbols or filled bars. Display aquifers as 3D surfaces, sliced as 2D cross sections, profiles, or projected sections, or as plan-view contour maps. Enter downhole fractures with depth, dip angle, dip direction, extent, and thickness. A fracture-specific modeling algorithm allows you to create a solid model of fracture proximities for display in 3D (voxels, isosurfaces, fences) and 2D (profiles, sections, projected sections, contour maps). Display fractures as tadpoles in 2D logs or oriented disks in 3D. Enter downhole directional data, such as groundwater flow directions, tiltmeter data, sonar data (current flow), with depth, azimuth, and inclination. Vectors can be represented in logs as scalable arrows and modeled into cavern diagrams. See also the other RockWorks Features for information about cross sections, 3D models, fence diagrams, maps, logs, and more. This entry was posted on October 2, 2017 by Rockware Test Admin.